When it comes to seeking advice I always go for quantity. 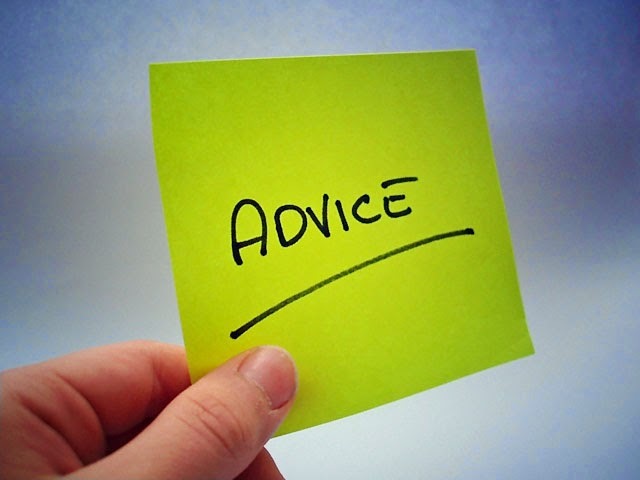 I can ask over a 100 people for advice on the same matter. Maybe it's because I love processing lots of data. I take all the advice and do a mental dashboard for them. I love to see a lot of data points (especially frequently occurring words); I then give each data metric a weight; and I let the data speak back to me, telling me what course of action to take. Like one entrepreneur puts it, "Don't bother writing down the suggestions people give you. You will hear the most important ones so often that you can't forget." To shorten the process of reading the very helpful post (especially for my email subscribers), I have pasted my favourite part below. In 1980 a friend and I quit our engineering jobs, and in a grand, expensive, and foolish leap we rented office space, hired employees, and became... consultants! Our only wise decision was to do this before either of us had children, because we starved. The rented space was needed, we rationalized, because our clients would need to see a respectable company before forking over their cash. We spent endless hours building walls in the unfinished R&D space. I wonder if those walls are still there, and if they are still full of the empty beer cans we used for, ahem, insulation. In fact, in the years we were in business few customers ever saw the facility. Every month, though, the landlord arrived with his hand out, depleting our meager resources. For the first weeks we stared at each other. What do we do now? How do we get customers? Who is going to pay all of these bills? We ran ads. No one responded. The yellow pages produced no inquiries. Small contracts from our former employers kept us miserably operating, until time taught us to sell, sell, sell. We started banging on doors, making cold calls and getting no end of rejection. A little work started to trickle in. More networking and working friends of friends of friends brought more in. As the work backed up we learned the next lesson - fixed price contracts are a horrible mistake. We did an audiometer for $3000, designing and building the hardware, and writing all of the code. A grossly underbid $12k steel mill job kept the paychecks at bay for months. To make any sort of decent living on fixed price work one has to bid high enough to cover surprises, and one's estimation ability must be prescient. As time went on we honed the art of estimating software and hardware to a fine skill. Unfortunately, few private companies cared to enter into multi-hundred thousand dollar contracts for a product's development. Most seemed happier paying us hourly, even though the total billing would be about the same as for a fixed price contract. Humans are a perverse and puzzling lot - but in business, you must deal with the customer's expectations, needs, and oddities. The customer, is, after all, king. Only the government seemed willing to foot large fixed price efforts, but we found it difficult to get those fiercely competitive contracts. A formula we hit on accidentally worked like a charm: write proposals, on spec, as a subcontractor to a large operation. Let the big partner handle the peculiarities of government work. After the award of the contract we'd get our share of engineering work. After my partner and I went our separate ways I continued consulting, alone, and put these painfully learned lessons to work. I worked out of the house, keeping overhead low. My company had no employees other than myself. I secured a good answering service to create a weak but valuable business-like phone service. All of my billings were hourly, and most of my business came as a sub to large corporations involved in government contracting. The money was good (finally! ), but I hated the work. There are only two reasons to work for a living, and I believe both are necessary conditions: fun and money. Who wants to be a slave, working like a dog and hating every minute, just to put food on the table? The opposite is only marginally better - having a great time, but not having the means to survive. Everyone has different fun and money needs. Donald Trump might need an annual 8 figure income to be happy, whereas others are satisfied in the low 5s. Success of a consulting business (and in life) starts with an introspective, soul searching analysis of your own psyche. What do you want? How do you get from where you are, to where you want to be? Even the smallest consulting company needs a vision to march to, something you can use as a yardstick to plan and measure against. Though everyone loves to hate Microsoft, I have enormous respect for Bill Gates. He defined a vision and spent years pursuing it. His dream of a GUI yielded the abysmal Windows 1.0, followed by the equally useless 2.0. But Gates kept at it, following his dream, and eventually producing versions that have quite simply taken the world by storm. A lesser man might have given up after the first or second debacle. A reasonable consulting vision might be to generate a reliable $90k income. Another might be to grow the firm to lawyer-like status, with the founder just living off the fruits of the labors of hired guns. Either way, the vision must be specific, so you can develop a reasonable plan to attain it. You'll surely guess wrong about many things, but the right goal lets you periodically stop, access progress, and implement new plans as needed. Far too many consultants have no firm goal, and thus drift along, never achieving much success. Know where you are going, develop a plan to get their, and implement it. Regularly monitor your progress and take action to get back on course, for even the best planners make massive mistakes. You will go out of business if you are not constantly selling. My partner and I repeatedly made the classic consulting error of somehow, though heroic efforts, obtaining a contract, and then simply doing the work. The job was always complex enough, somehow, to require both of our efforts for its duration. We'd submit the final product and invoice... and then starve until another contract came around. The vast majority of consultants go though this boom and bust cycle. Everyone complains they cannot sell while working on a job, so blindly work on, knowing a financial cliff looms even in the best of times. Selling is as important as switching on the computers in the morning. The excuse "but I don't have the time" is simply unacceptable. As the only way to avoid those horrible bust times is to sell constantly, you must aggressively sell or market your services every single day. You have no choice, so plan to run the business with sales as the top priority. If time is precious (as it always is) a solution might be to bill fewer hours each day, leaving time free for sales. Rest assured that those "lost" hours will be recouped in lack of downtime. Never forget that consultants live in a fish tank of vicious competition. Every unemployed engineer has a de facto shingle hung out. Many fully employed designers consult on the side, often for ridiculously low wages. It's easy to find a consultant; it's not so easy to insure that you are the one that is found. Scott and I made a fundamental mistake in forming our partnership. Both of us were techies, a fact that in our naivete we thought would make us more productive. Wiser heads would have taken a third partner on board, one devoted entirely to marketing and sales. This third person could have kept our in-baskets full, thus insuring ongoing strong receivables. But wait! you say. If I sell all of the time, what happens if I'm too successful? I can only work on one or two jobs at a time - suppose a dozen come through? My feeling is it's easier to turn work away than pay the bills those times there is no income. Besides, success breeds more success. If the word gets around that you are in demand, then more will want your services. You might even become a scarce commodity. Raise your rates! You can deal with success in more effective ways, of course. Hiring engineers is an alternative. This creates more challenges, as someone (i.e., you) must manage their work, burning up yet more of your limited time. Some outfits very cleverly develop networks of consultants they can draw on in peak periods, raking a percentage off the top. If you serve as prime contractor for these outsiders, you'll be held responsible for their work, so select them carefully. How does one sell consulting services? This is a tough nut to crack. Some companies advertise in national publications, an option generally too expensive for one and two man shops. Others beat the want ads to death, using these as a source of intelligence into business' needs. I doubt that any pat answer exists, but it seems that the best companies thrive by developing and exploiting relationships.